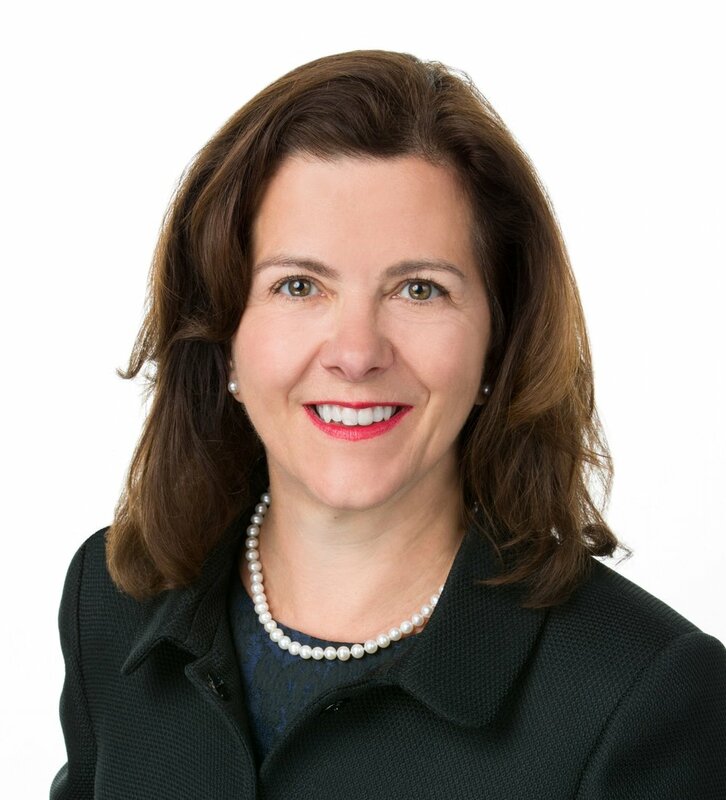 In the third installment of our 74&W Exclusives series on Sustainable Investing, we spoke with Susan Nickey, Managing Director of Hannon Armstrong, a publicly traded investor in the sustainable infrastructure markets. Here she discusses the green energy space and how far along it's come, as well as how Hannon Armstrong is able to focus on environmental benefits and long-term returns simultaneously. Tell us how you became involved in renewable energy. I had the great fortune to be involved in renewable energy really from its inception in the US marketplace. I started in project finance banking in the 1980s, and I had the portfolio of figuring out how to finance alternative energy. I’ve been involved with the industry ever since, both as a lender and advisor, an equity investor on the operating side and for two and a half years now at Hannon Armstrong. Addressing climate change has been my passion and kept me working through the bumps, the challenges and the excitement. The flipside of passion, sometimes, is frustration. What do you find most frustrating about working in sustainable energy? I think the challenge has really been demonstrating that renewable can become mainstream. That’s taken a couple decades to get to, by improving the technology but then [also by] bringing the capital sources to bear on a larger scale. So what’s exciting today is that renewables are mainstream. The opportunity going forward is to drive renewable energy to become 100 percent of our power generation on the grid. For our readers who don’t know, could you just say a little bit about Hannon Armstrong and what it does? Absolutely. Hannon Armstrong is the leading investor in sustainable infrastructure, including energy efficiency and renewable energy. Our core purpose is to generate superior risk-adjusted returns, using finance to enable greenhouse gas-reducing assets to be adopted at scale. As a public equity, we are kind of a mutual fund for investment into renewable energy and clean energy through our own individual investments in energy efficiency and wind and solar. We’re investing in projects. We have a diversified portfolio of over 170 investments. So when an equity investor is investing in Hannon Armstrong, they're getting exposure to the whole gamut of clean energy opportunities. What are some of the key features of those investments? We’re a programmatic investor with top-tier sponsors, and we’re a long-term cash flow investor. We’re looking for projects that will have a predictable and attractive risk return on our investment. Do you have specific criteria that carry over from one investment to the next? Each of our investments that we’re considering making must meet a sustainability screen that we apply to all of our investments. We define sustainability as being neutral to negative on incremental greenhouse gas emissions. From there, we look at the best risk-adjusted return. Most people probably understand the basics of investing in a solar or wind project. But can you give us an example of an energy-efficiency project? Sure. Take some of the energy service companies [ESCOs] – Honeywell, Siemens, Schneider, Trane. These are global industrial companies that may go into a military base, for example, and do an energy audit and say, “We can take X number of buildings and install energy efficiency components – LED lightbulbs, new heating and cooling systems, controls, insulation. If we were to invest $10 million in this project, you’re going to get a million dollars in savings each year.” An ESCO typically does not finance such projects itself, so Hannon Armstrong would submit a bid to the ESCO on the financing of the $10 million project. The payment for the investment in the efficiency technologies is being made out of the energy savings that are achieved. And the cool part is that the performance, the energy savings, are typically guaranteed by the ESCO’s parent company. In the event that the energy savings are not achieved, the company has to make up the difference to us. And doing this for almost two decades, we’ve never had a shortfall. And so it’s really a win/win. And whether it’s renewable or energy efficiency, every project has to meet those hurdles that you talked about earlier, correct? Exactly. We’re not just talking the talk, we’re walking the walk, by publicly disclosing, for anybody who’s interested to see, the environmental impact for each of our projects within our portfolio. We might make 30-50 investments in a given year, and in our annual report we include the estimated greenhouse gas production or carbon emissions reduced per thousand dollars of investment. We want to put our investment dollars to work in a way that’s going to have great impact on the environment. Can you say a bit more about your carbon metrics? [Our measurement] is trademarked as the Carbon Count. We think it’s a simple and clean metric. We donated the application and methodology to the Alliance to Save Energy, so it’s now offered for third-party green bonds using the methodology, and it’s available to other companies or issuers. And certainly we’ve worked with rating agencies and analysts who’ve also rated us. Investors want that transparency, but it’s also a risk metric. There’s the return, there’s the green aspect, and then [there’s] thinking about the risk attached to it. And the cool thing about Carbon Count is it takes into account the regional impact, the state-by-state fuel mix. An energy efficiency project in California, where there’s not a lot of carbon in the grid, might not have as much of an impact. If you compare that with a wind farm in the coal-heavy Midwest region, then the wind farm would have a higher Carbon Count [because it’s] offsetting more carbon. How successful have banks and asset managers been at generating investment products that are accessible to everyday people, have a positive environmental impact and represent good opportunities in terms of returns? As the industry has grown, the capital needs and size of the investment opportunity have grown. When I first started, wind maybe was 2 or 3 percent of an energy resource. And now we can look at certain states and areas of the country where we’re approaching or targeting 10 percent renewables. That creates a scale that really allows [the opportunity] to move from only finance on an individual project basis to either portfolio-based debt products or companies that have gone public because they have efficient scale to actually be public companies. Sounds like good progress, then. Renewable asset projects in and of themselves now have a long track record of producing predictable and stable and positive returns. We have a history of wind projects that are now 20-30 years old being operated and continuing to produce power. So when you look at the track record of the assets themselves, that’s the foundation or the driver. [People are] seeing, “Gee, these are lower-risk, stable, long-term cash-flow-generating assets.” And now, as the marketplace expands, that produces more opportunities to invest capital. Can you quantify the opportunity set? If you look at the third-quarter report of AWEA, the American Wind Energy Association, they reported that there’s 35 gigawatts of wind power projects in late-stage construction or development. Which means they’d be deployed over the next two or three years. That represents over $15 billion of new capital. That level of capital has made the market more attractive for infrastructure funds, green funds, other renewable funds. They’re saying, “Oh, gee. There’s a big enough market where I can invest a fund on a diversified portfolio basis and offer that back to my institutional investors.” So, again, it starts with the track record of a great-performing underlying asset, then you see it becoming mainstream, where it’s not just 2 or 3 percent of our power but it’s continuing to be deployed at such a scale that you now have a market where it makes sense to learn how to underwrite and to raise capital, whether you’re a project finance fund or, increasingly, an infrastructure green fund. And in turn I think their investors are more driven by wanting to be on the sustainable side or renewable energy side in a portfolio. You just mentioned “learning how to underwrite.” What new challenges are emerging on the product front? Where there’ll be some new underwriting challenges relates to the surge in growth of corporations wanting to procure their renewable energy directly, or to green their buildings directly. Market leaders such as Google, Microsoft and Nokia are not only putting solar on their rooftops but buying power from solar and wind projects. That’s great for the drive to 100 percent renewable power, but it also creates new [questions]. How do we finance this? What’s different about financing a project where the corporation is buying the power, versus the traditional [model] for the last 20 years that investors are used to, the offtake being with investment grade utilities that have load-serving regulated entities? That requires a little more complicated underwriting in terms of what the corporate credit is. It’s not just a standard power contract. I think that’ll be one of the developments that’ll offer new financing models. Potentially intermediaries such as insurance companies and banks will step in and find a product to wrap that and drive the cost of capital down to support that trend, which I fully expect to continue. What else would you like to see banks doing differently or better to facilitate investment in renewable energy? I think it always starts at home. Many of the global financial institutions have been project finance lenders and provided capital or investment banking services to renewable energy. That helps drive GHG reduction and address climate change. But what’s important is that a lot of these financial institutions themselves are going to green their own footprints. You know, “We’re buying solar, we’re buying wind credits, we’re going to measure our own buildings trying to get to a zero carbon footprint and sourcing all of our power 100 percent renewable.” So you start at home with that kind of adoption. The second thing is providing leadership through green bonds and really putting in metrics and transparency. They need to create the products that investors are increasingly interested in. The third component of that, which we’re actually seeing, is providing leadership on where they’re not going to invest and where they’re trying to help educate and drive capital to [fight] climate change. To really continue to drive ESG investing and climate change policy, it takes a global adoption of that, from cleaning your own headquarters to financing and committing your capital to sustainable investing [while] not promoting financing of carbon-intensive investments, which then otherwise can negate the good things going on. When we interviewed Chris Davis from Ceres, he talked about the importance of regulation as a source of stable policy signals to lay the groundwork for investment. Could you talk a bit about the wind industry and what the key regulatory issues are right now that will affect investment over the next few years? Sure. At the federal level, the primary regulatory driver for wind, really since 2002 through 2020 when it’ll be phased out, has been the production tax credit. It’s been an effective policy tool to drive an industry to be competitive and mature. And that credit was preserved in the tax reform bill. A production tax credit runs for ten years from a product inception date based on the actual production of kilowatt-hours that a wind project produces. So when that credit is phased out, there’s still existing projects, so that’ll continue to be an underpinning of the investments that were made at that point. There’s other provisions [of the tax overhaul] that are still being clarified and digested, because it’s complicated to understand if there’s impact on banks or other financial institutions that are major tax equity investors. There’s been some delays as everyone’s trying to figure out the assumptions in their financial models. But given the current administration’s positions on promoting – or not promoting – renewables, what’s really been exciting have been the regulatory drivers at the state level. There are 29 states that have renewable portfolio standards. The states are really stepping up their commitment to renewables and to reductions in greenhouse gas emissions and participating in the Paris Climate Accord. Because they have to. So the grassroots policy initiatives have taken on critical and important momentum that will continue to [spur] new projects across the board. They’re seeing the levelized cost of energy for these projects being competitive, a hedge against rising fuel costs. But [also], companies and people want to live in places where they have clean energy. They're motivated by having someone put a data center or their headquarters in their back yard. New York has set a goal to reduce their greenhouse gas emissions by 80 percent below their 1990 level in 2050. Those state initiatives drive regulations that allow projects to be built. And investors like certainty when they're looking at putting money into these projects. So do you anticipate a shift in the model for green investing over the next few years? Through 2020, the US market is still driven with the sort of standard text. It’s driven at the project level, so involving tax equity. Because of that nature of our financing, which eventually phases down in 2020, we’re still at a [place where] projects get financed at a project level and then are getting wrapped up into portfolios. I’d say it’s not really that much of a change of a structure. But given the overall maturity of the industry with the amount of capital that’s already invested and then the demand for new capital, it’s sort of creating more projects or smaller portfolios that’s allowing new funds to come in and invest. So I’d say its scale is opening up a market for more institutional capital to come in. [According to] the third-quarter AWEA report, the US has 85 gigawatts of installed wind, and the utility-scale solar projects also have significant scale. I think the products and structures will start to evolve after 2020 when the tax credits are phasing down. That’ll open up and probably start driving a shift to more traditional debt and equity products. Throughout your career, in communicating with investors, have you generally found it more effective to emphasize the value proposition of a green investment, or better to keep the focus on the potentially strong financial return? You always have to start with a strong, attractive risk/return on a project. And then the benefit of being green, reducing carbon. I mean, no one wants to put a dollar into something to lose their money. But the good thing is, there’s a proven track record here. We believe in evaluating investments on their financial returns, but [we also believe] that investing on the right side of carbon will produce the best risk-adjusted returns. Have those conversations changed or evolved over time? I would say [they have] in the last 12-18 months, much to our surprise. Given the change in the presidential administration, everybody thought, “Oh, my gosh, the world has ended as it relates to sustainable investing.” You know, “Trump pulled out of the climate accord. What does this mean for our industry and our market?” And if anything, what we’ve seen from the equity investor side [is that] investors are taking this on themselves, as are corporates. They’re not only meeting their publicly stated sustainability goals and commitments but they’re increasing them. From the corporate side, there’s still a call to action to be good corporate citizens and invest in renewables and sustainability. And from the investor side, we’ve seen more mainstream type investors who three or five years ago did not [care at all] about sustainability. But now their investors are saying, “Yes, of course we want to invest for good financial performance, but we want to invest for positive impact and positive environmental change.” So the conversation has definitely shifted as we’re talking to those more mainstream investors. As we’re pitching our own corporate story to them, they're wanting to talk more and more about our own sustainability goals and how we’re driving change and really being a key financial participant in the scaling and adoption of low-carbon technologies. It’s an increasing appetite for the concept of doing well while doing good, then. We’ve been operating for almost 40 years and we went public just about five years ago, in April of 2013. And we’ve generated greater than 175 percent total shareholder returns during that time period. So we’re a good example of not having to sacrifice financial return to get impact. Being a public company has really enabled us to scale our investments since going public. And just having access to the public capital markets, both debt and equity, shows that there is definitely investor appetite for these projects. Where we’ve come from is phenomenal, but it’s going to be more exciting, and it certainly couldn’t be more urgent to address climate change as fast as we can. We’re going to need all the capital in the world focused on investing in a solution to this problem. And they’ll get the right risk-adjusted returns for the right investments. Susan Nickey is a Managing Director at Hannon Armstrong, a leading investor in the sustainable infrastructure markets, including energy efficiency and renewable energy. Ms. Nickey has over 25 years of executive leadership in the energy and finance sectors. She has focused her efforts on proving that creative solutions and innovation can make the production of clean energy more profitable, competitive, affordable and mainstream. Most recently, she founded and served as CEO of Threshold Power. Prior to working at Threshold, she served as CFO at ACCIONA Energy North America from 2007-2010 and before that as Managing Director of Investment Banking in the Project Finance Group of Mesirow Financial. Ms. Nickey currently serves on the Board of Directors of the American Wind Energy Association and its Finance Committee and the Board of Directors of the American Council of Renewable Energy and its Executive Committee. She has previously served on the Governor of Nevada’s Renewable Energy Development Program Task Force. She was named one of Women’s eNews’ 21 Leaders for the 21st Century for her leadership in sustainable development. Ms. Nickey holds a Bachelor in Business Administration from the University of Notre Dame and a Masters of Science in Foreign Service from Georgetown University.